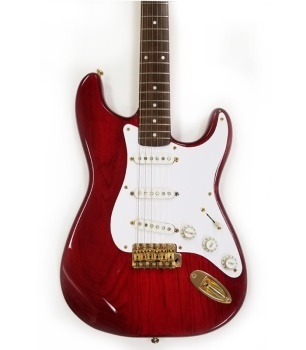 This used strat is in excellent condition, no dings and the gold plating is still in very good condition. It appears to be in original condition except for the pick gaurd, which is plain white. To be period correct it shoild be replaced with a white pearloid pick gaurd. All electronics work and the neck is good.. Frets are not worn. This guitar is in our Riverdale, GA location. Call 770-996-3680 with questions. The guitar can be transferred to another location to try out.